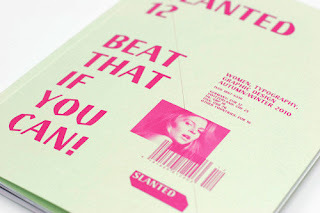 Issue 12 of Slanted showcases the work of female designers such as Ariane Spanier (Berlin), Julia Born (Amsterdam) and Verena Gerlach (Berlin), the photographic essays “Brides of Krishna” by Kalpesh Lathigra (dmbmedia / London) and “Female Marines” from the archives of the U.S. Marine Corps as well as contemporary typefaces, illustrations and graphic projects by female designers. Type essays by Laure Boer (Berlin) and Gerda Breuer/Julia Meer (Wuppertal) are dealing with the role of women in graphic design and typography and outline a corresponding history. Numerous interviews with Verena Gerlach (Berlin), Ariane Spanier (Berlin, Nadine Chahine (Bad Homburg), Veronika Burian (Prag), Laura Worthington (Washington), Kapitza (London), Geneviève Gauckler (Paris), Esen Karol (Istanbul), Akiko Kanna (Tokyo) and Susanne Baer (Tokyo) as well as the second part of the Tokyo report by Ian Lynam (Tokyo), a musical travelogue and a paper report round up stuff to read. Order your copy through the Slanted website or see some more images here.